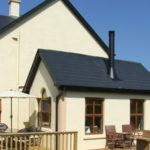 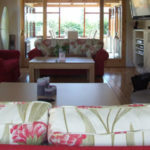 Corcoran’s Lodge is a B&B in Ferns, Co. Wexford, which is ideally situated for touring the South East of Ireland, also known as “the sunny south east”, offering a comfortable and friendly base from which to explore this wonderful part of Ireland. 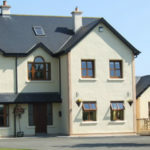 If you are looking for a B&B in Enniscorthy Co. Wexford, we are only minutes away. 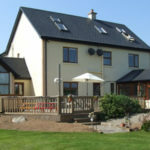 Being located between Enniscorthy and Ferns, just off the N11, makes it a most suitable B&B overnight stop on journeys to and from the Rosslare ferry port. 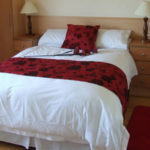 This modern attractive B&B / Guesthouse offers a large comfortable TV guest lounge with Sky TV and an open log fire. 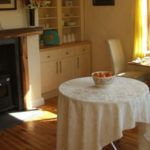 All tastes are catered for and the smell of home baked bread will whet your appetite. 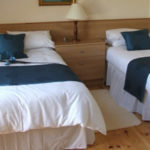 All bedrooms are en-suite, tastefully decorated, have tea & coffee making facilities as well as Satellite TV, and all rooms have views of the surrounding countryside. 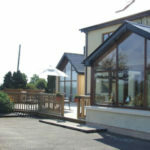 Internet access is available if required. 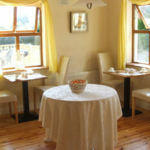 Evening meals – no problem, Cathy loves to cook and will happily provide dinner, if you let her know when booking it can be ready for you when you arrive. 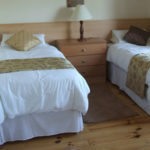 If you are staying for a few days, picnic lunches can also be provided, in addition to evening meals. 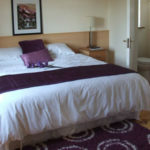 If you have any special dietary requirements just let Cathy know when booking. 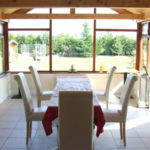 Cathy also has a varied range of recipes for Vegetarians, Vegans and Coeliac’s.